Risk of fatality is 1:200 000 but you can't be a fraction of dead! Risk of diving fatality is 1:200 000. However, you cannot be a fraction of dead…! but what does that mean? I can tell you that it means nothing to most people because we don’t deal with risk in the real world like that. For a start, numbers don’t have the same emotional relevance as stories, and as such, they don’t stay in our heads that long. Furthermore, most decisions are informed by emotion and not logic and the following is a classic example of the apparent irrationality of perceived risk. A colleague of mine did a 'Discover Scuba Diving'-type dive while on a cruise to the Caribbean. Her only diving experience prior to getting into the ocean was in the swimming pool of the cruise liner she was on. Her first dive was to 30m/100ft on a deep wall in the Caribbean which was advertised a shark dive. The biggest concern for her and the other divers wasn’t the very deep water they were over, it was the sharks which they had gone down to see. She remembers getting down to 30m or so and swimming around, completely oblivious to her gas consumption, depth or decompression obligations that might come up. It took the guide several goes at grabbing her attention and getting her to ascend as she was getting very low on gas. She recalls that if the guide hadn’t done that, she would have likely completely run out of gas because she was so enthralled by where she was. She had gone on the dive because she knew that the operator wouldn’t have put them into a dangerous situation with the sharks, but she completely trusted them to make sure the diving was safe and didn’t think about that risk! 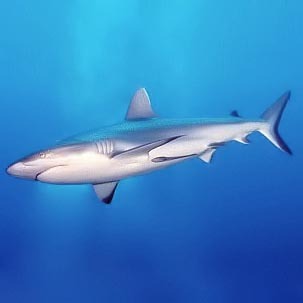 Ironically, the risk of dying from a shark attack is phenomenally small with only 5-15 fatalities per year! The statistical risk of dying during a diving trip is much higher. However, in both cases (shark or diving), these risk numbers are meaningless because the outcome ends up as either 1 or 0, and you only find out after the event. You cannot be a fraction of dead. That might appear a rather obvious thing to say, but consider the normal risk equation people use. This non-diving example makes the point clearly. 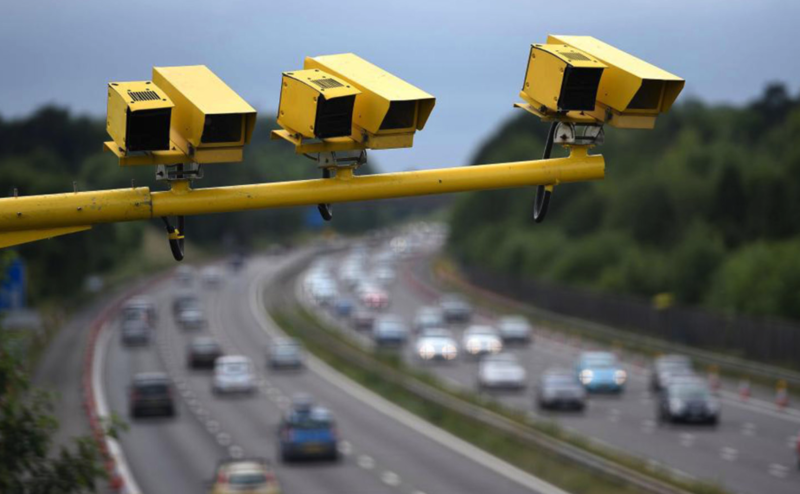 Suppose that in a certain portion of a motorway a radar is mounted with the intent of catching those who enjoy speeding. If you’re 20 mph above the limit, you can expect a fine of around 100 GBP. It is known from statistics that on that portion of the motorway on average one driver out of ten gets caught. The above formula would suggest that anyone who is speeding is risking 1/10 X 100 = 10 GBP. This is of course senseless. If you get caught, you pay 100 GBP, if you don’t, you pay nothing. In other words, if you drive fast, you’re risking a 100 GBP fine, not a 10 one. Try arguing with a policeman that your fine should be 10 GBP! In this simple example, the cost was easy to estimate. It was 100 GBP. However, the p=1/10 is irrelevant. If YOU get caught, you get caught independently of the probability suggested by past statistics. For you, statistics begin the moment you start the engine. The past is irrelevant. So, if you get caught by radar, the cost is 100 GBP if p=0.1, or 0.001 or even 0.0000001. The damage is the same regardless of the probability you may conjure up. Things either happen or they don’t. Herein lies the problem with risk management in diving or any high-risk sport for that matter. We don’t know the probability or likelihood of the adverse event because we don’t know how many divers there are, how many dives those divers complete, the depth/time or any other variable which impacts the likelihood. In addition, we have no way of calculating the interaction of the multiple factors which could lead to a fatality. So the likelihood is an unknown, and as we can see from the speeding example, it doesn't really matter anyway! And the consequences? What do you measure those by? 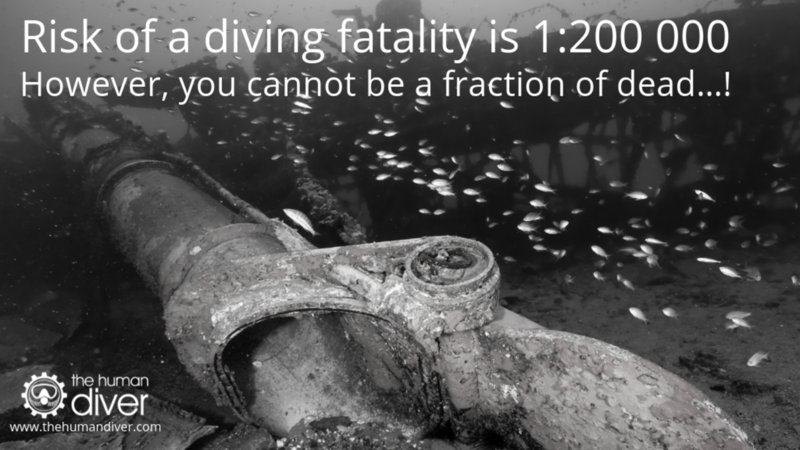 Consider that if the risk is such that 1:200 000 dives end in a fatality, you can’t be 1:200 000th dead. So at an individual level, the consequences for a diving fatality are expressed as either a 1 or 0. If you use statistics, the risk is a very small number. This low-risk factor is how diving is sold as a safe sport with benefits which massively outweigh the consequences. And the benefits are awesome, I get that! I love taking photos 50m-60m down using trimix and spending 1-2hrs decompressing!! (Alright, the deco is boring but it is often worth it). However, the emotions massively contribute to the biases which we are subject to when making decisions which involve risk. That risk could be related to a 15m OW dive, to a 150m CCR dive or a dive which goes 3 hrs back into a cave system where no-one has been before. 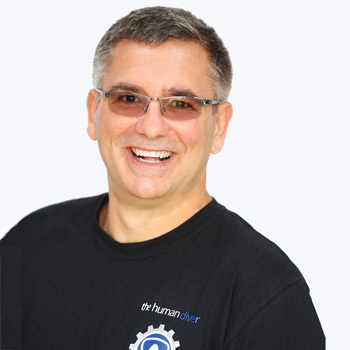 Our risk management (in diving) is based on heuristics, biases and emotions, not on logic. It is individual, contextual and very variable! Nobel prize winners Kahneman and Tversky looked at decision making, especially apparently irrational decisions and came up with a term called behavioural economics in which they looked at how much it was worth to make a decision. They determined that we don’t logically weigh up every decision we make because we don’t have enough time or mental energy to do this, but rather we substitute real data for mental models of what is likely to happen. Even if we know this is wrong. They also discovered that there are differences between decisions concerning losses and those about gains and called it Prospect Theory. Prospect theory has had a big impact on our understanding of risk (uncertainty) management. 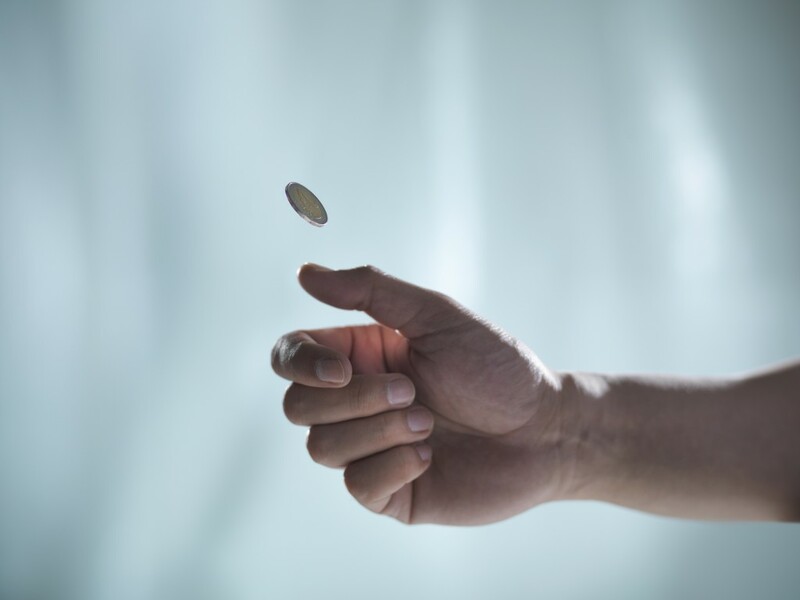 Concerning mental models, if I flip a fair coin 10 times and heads comes up each time, what do you think the 11th flip will be? Most people will say tails because they don’t believe that 11 heads in a row is likely to happen because we have never heard of anyone doing that. It is scientifically possible, but unlikely and so it is uncertainty we are managing most of the time, not risk. This ability to quickly grab something from our memory and use it to inform our decision-making is called availability bias. Here are a couple of diving examples to show availability bias in action. - If you don’t analyse your gas every time you don’t know what is in the mix. 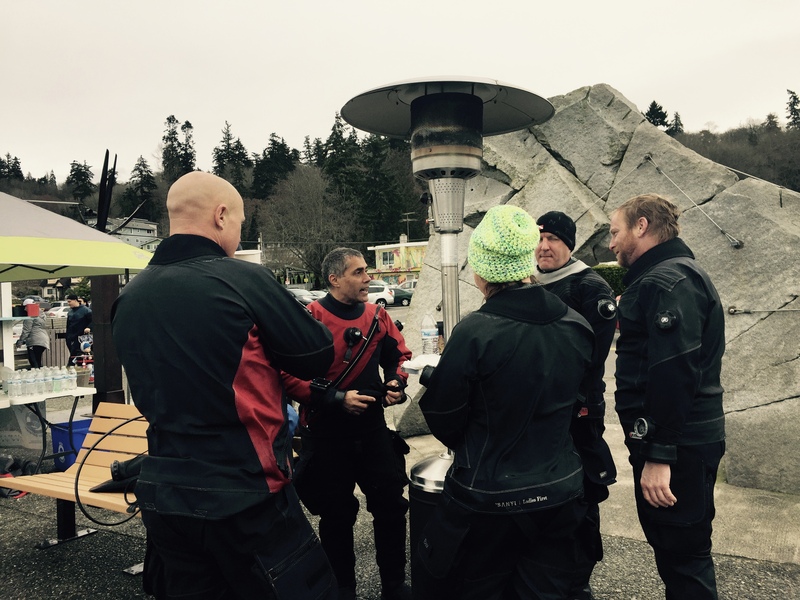 You are making an assumption based on information you have been given by your instructor or dive operation staff or watching them fill a cylinder. Even if you connect a J cylinder marked as being filled with air to your own cylinder and you don’t analyse it, you are making an assumption that the J is full of air. If you haven’t heard of anyone having 100% helium in a fill, or 100% oxygen when it should have been 32%, or 45/18 instead of 18/45, you probably wouldn’t think that gas analysis is that important. I have heard of all of these. Humans make mistakes and we can’t taste the difference between gases. It is a risk I am not willing to take. - You dive to 50m on air because it is part of your agency’s training programme and you are certified to do it even though you’ve never been that deep during the training. You continue to dive to that depth because you’ve never heard of anyone having an emergency and then not being able to resolve it due to narcosis, thinking that muscle memory will help them solve the problem. People who are suffering from narcosis are not able to undertake higher brain functions which include memory and complicated problem solving, so why would they remember the problems they have had? Furthermore, if you realised you did something which nearly ended with you dead and that deep air is recognised as ‘not a good thing to do’, how many people would you tell? Consequently, your experience is not known by the rest of the community. Another bias which is working against ‘logic’ is outcome bias. If nothing bad happened, but you got the benefits you were looking for, it is often considered a good decision. This bias can lead to normalisation of deviance over a period of time where new baselines are set, further and further from ‘safety’. For a brief video of this, visit here. Something else to consider when it comes to outcome bias. What is the worst that could happen on a dive? Death. Maybe. But what about paralysis and being stuck in a wheelchair caused by DCS? Wouldn’t that potentially cause you and your family more stress? Perversely, I have heard of a diver ran out of gas holding a stop rather than ascend because their computer was telling them they still had deco to do. It was a dive which ended with 10 mins of unplanned deco but their buoyancy control was not good so each time they dropped below 6m, the computer stopped counting their stop time. In the end, they had completed something like 30 mins of stops in the area of 6m before they ascended. They didn't know what the expected deco was for that situation and couldn't deal with the uncertainty. 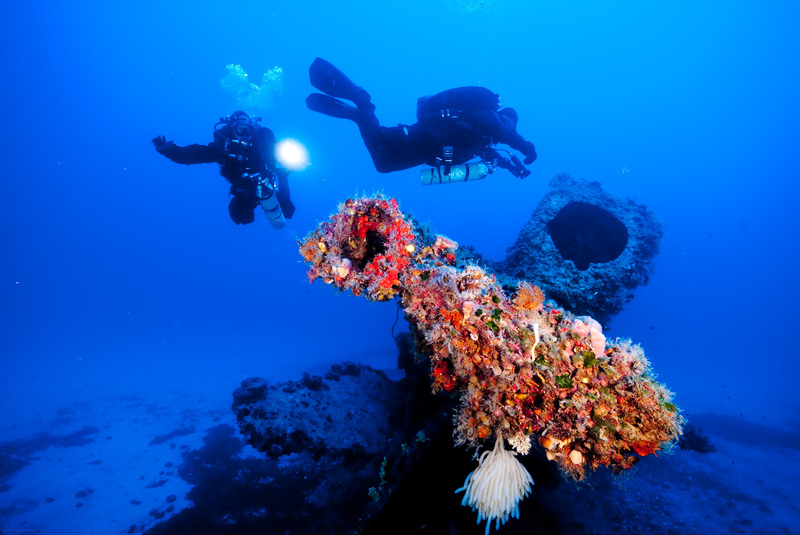 Risk management in the context of diving is about dealing with uncertainty. However, we often confuse a world of uncertainty with one of known risk. This has been described as the ‘turkey illusion’ or calculable-risk illusion. 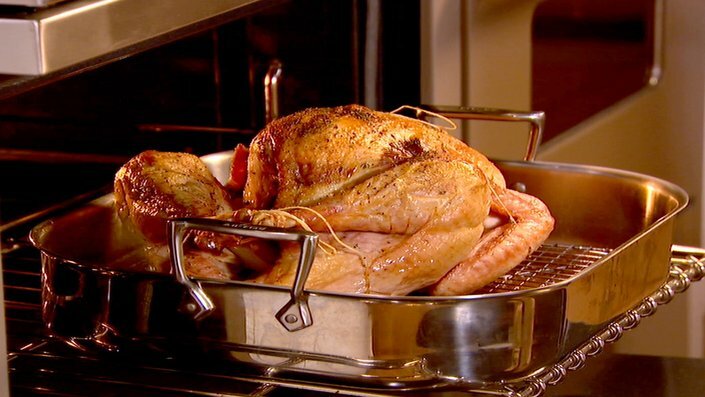 The example of a turkey being fed up for Christmas or Thanksgiving demonstrates this and is based on the rule of succession, derived by the great mathematician Pierre-Simon Laplace. The probability that something happens again if it happened n times before = (n+1)/(n+2), where, in this case, n is the number of days the farmer fed you. That is, after the first day, the probability that the farmer will feed you the next day is 2/3, after the second day it increases to 3/4, and so on, growing more and more certain every day. At the same time, the alternative that he might kill you becomes less and less likely. On day one hundred, it is almost certain the farmer will come to feed you, or so you might think. But unknown to you, that day is the day before Christmas or Thanksgiving. Just when the probability of being fed is higher than ever before, you’re dead meat. Now consider how this applies to your diving. Here is an example which illustrates how bad this bias can be in diving. A diver was on a liveaboard a long way from land (30 hrs or so of steaming). The trip was about half-way through. They surfaced from a dive and realised that they were suffering from DCS with mild symptoms. So they breathed 100% on the boat and felt ‘fine’ the following day. They went diving again but this time when they surfaced, things were much worse. They were paralysed from the mid-thoracic area down and couldn’t use their legs or bladder. While they had insurance, there is not much you can do in terms of an immediate response when 30 hrs offshore! One of the most important things was to release the pressure on the bladder, so their wife had to do a DIY catheterisation with guidance from a UK doctor over the satellite phone using whatever they could find on the boat. The dive operation they were with transferred them to another boat in the area which was going back and the diver ended up with something like 6 weeks of hyperbaric treatment before being able to fly home. Why is this relevant? A friend of mine posted that his buddy was being treated in a chamber for a serious bend, one of his friends posted that he had recently had a skin bend on a 50m dive, they went diving the following day to see if the bend would clear, it didn’t, so they took the 3rd day off. "What if..." is a risk-management question and I recently wrote about the 4Ts of risk management here. One of those Ts is ‘transfer’. 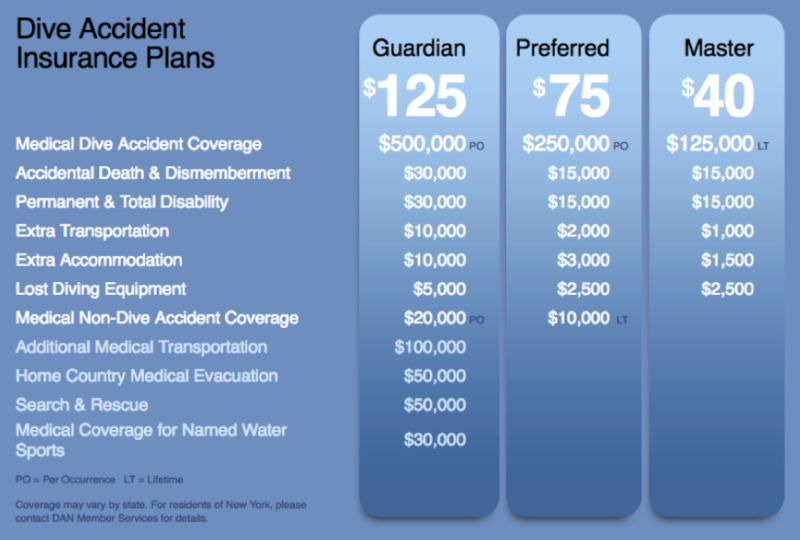 Many divers think about transferring the risk they face to an insurance company so that medical cover can be sorted or compensation provided. However, ultimately if the risk materialises, someone else might be paying for it, but it is you who will be suffering. That doesn't just pertain to injuries, but what instructors and litigation? 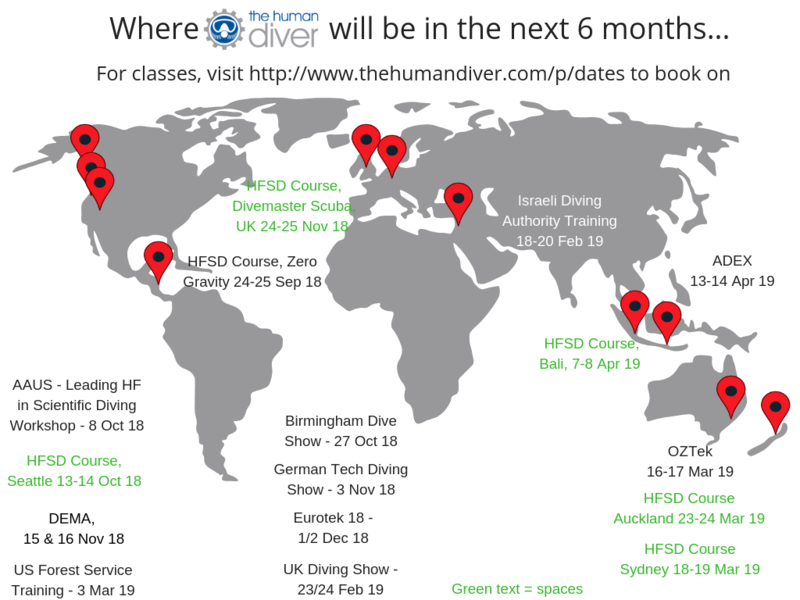 How do I improve my risk management in diving? Firstly, recognise that you are truly fallible and that ‘decisions in the moment’ are going to be made with emotion at the fore rather than logic. This is one of the reasons why checklists are so effective because they force people to slow down and follow a logical process rather than get ‘sucked up in the moment’. This video I recorded in late August describes a model which looks at situations/environments in which errors are more likely and will help you identify when unplanned outcomes are more likely. Secondly, have a plan and brief it. This allows those taking part to understand what is going to happen and what the contingency plans are. It is much better to discuss the ‘what ifs’ on the surface without having to plan AND execute the resolution at the same time. This is one reason why team diving (not 'buddy' diving) is safer than solo diving. But you need to be specific in your answers. In the same way that risk numbers like 1:200 000 are meaningless, debriefs which talk about generalities are also pretty much useless because it is the context and the detail that is needed to create emotion and it is the emotion which causes the 'mental stickiness'. Finally, consider sharing your successes and failures with the diving community. The learning which comes from numbers is limited, whereas the learning from an emotionally-charged and context-rich story is much better. However, the real learning happens when you start to practice that which you have heard about. More on this topic next week but in essence, 70% of actual learning is through experience (i.e. actual practice, including On The Job Training), 20% is through exposure to informal, social learning & coaching and only 10% through formal classroom courses and other education.